The transition of climate and land use has resulted in more and more animals and plants being forced back into ever smaller habitats, which are ever further apart. In the centre of their range, they can populate a wide range of habitats, but on the edge they need special biotopes with particularly favourable characteristics. Species with particular needs find it especially difficult to overcome the distances between these refuges. So they are often only to be found in small, isolated populations, with little contact between them. The genetic variability of their members is therefore correspondingly low. "For that reason, such populations adjust badly to new climatic conditions, parasites or other challenges," explains Prof. Klaus Henle from the UFZ. The risk of extinction increases. Populations at the edge of a range are therefore more specialised and more sensitive. In this context, do they also react more sensitively to fragmentation than members of the same species in the centre? Previously, such comparisons had only been drawn between different species. Nobody knew whether these differences also existed within the same species. Klaus Henle and his colleagues have now investigated using the example of the sand lizard. The small reptiles, found from central France to Lake Baikal, and from southern Sweden to the Balkans, have a preference for relatively open landscapes with individual trees and shrubs. That could be, for example, dry grassland, moorland or embankments. So that it does not get too hot for them, they need more shady vegetation in their more southerly areas of distribution than in central Europe. In Scandinavia, on the other hand, they restrict themselves to particularly warm and sunny locations. In order to test their hypothesis – that animals of one species living in the centre of their range handle fragmentation of their habitats better than those on the periphery – the researchers investigated five sand lizard populations in Sofia, at the most southern edge of the range of this species, and eleven populations in Leipzig, which is more or less in the middle of the lizards' range. "In both cities, the animals are confronted with fragmentation," says Klaus Henle. Since the end of the 20th century, Sofia has seen a veritable boom in construction. This has meant that in the last ten to fifteen years, not only have many green spaces in the Bulgarian capital given way to residential and industrial areas, but in addition, the large parks have been divided up by new buildings, meaning that individual areas, along with their scaly residents, are now isolated from one another. Although in Leipzig about half the area of the city still consists of green spaces, not nearly all of them offer suitable lizard habitats. In the Saxon city, too, there are therefore populations that live more than four kilometres apart. But based on previous experience, the small reptiles can hardly manage larger distances. "So we wanted to find out what traces this fragmentation leaves in the animals' genetic makeup," says Prof. Martin Schlegel from the University of Leipzig. To do that, he and his colleagues went looking for lizards in both cities. They took a small tissue sample from each animal and then released it again. With the help of so-called microsatellites, they then used the tissue collected in this way to gain a glimpse into the lizards' genetic makeup. What was interesting here was the genetic diversity of the individual populations, which was compared using various criteria. 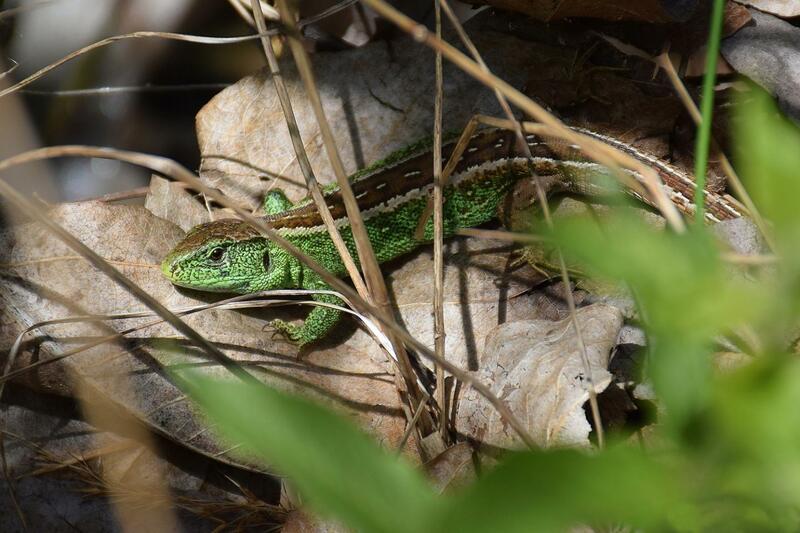 There was a clear trend: Although the populations were almost completely isolated in both cities, the Bulgarian lizards, had lost considerably more of their genetic variability in similarly-sized areas than their Saxon cousins of the same species. "Clearly the animals at the edge of their range really do react more sensitively to fragmentation," concludes Martin Schlegel. The team of researchers now want to investigate the concrete consequences that this has for the reptiles. "We think that the animals in Bulgaria are less fit," says the ecologist Henle. This could mean, for example, that they are in a worse physical condition, or that they are more susceptible to parasites. And such factors can certainly have played a role in the reduction of the reptile populations that conservationists have observed in Sofia for several years. In the 1990s, the sand lizard was still a common species there, living in parks, graveyards, and, particularly at the edge of the city, also in the green spaces between residential blocks. But in particular the populations in small refuges have shrunk massively; in a number of areas of the city the species is no longer to be found. "We assume that there are similar effects with many other species," says Klaus Henle. This is important information for conservation. It could mean that a large number of animals have more difficulty with the fragmentation of their habitats than previously thought. After all, it could be that studies carried out previously only concentrated on the centre of the respective range. Even if those studies then give the all-clear, it does not necessarily mean that populations on the periphery are also safe. If these are to survive, it may be that they need considerably more support than animals of the same species in the centre – for example in the form of particularly attractive migration routes to encourage them to cover the distances between individual habitats. For Klaus Henle there is no question that the fringe-dwellers of the animal world deserve more attention: "If you want to preserve endangered species, it is not enough to just look at their strongholds."